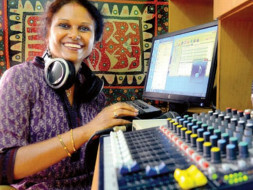 Greetings from Shamantha, I am one of the founders of Sarathi Jhalak - India's only women community radio station in rural Bangalore. 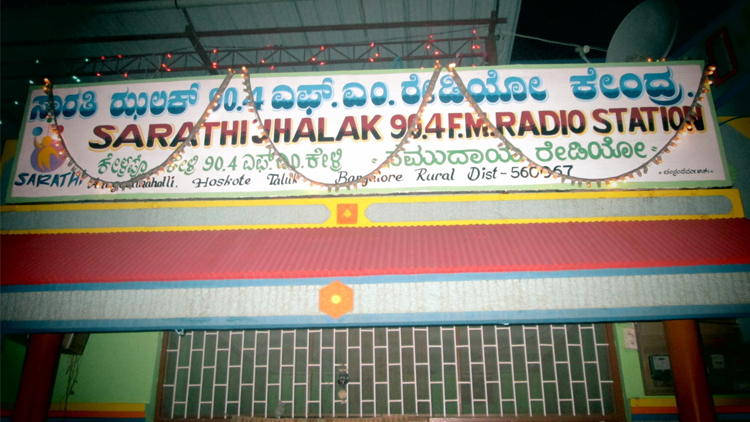 Unlike the skyscraper views of most radio stations in Bangalore or the hi-tech ambience, Sarathi Jhalak which is aired on 90.4 FM has a view of tomato fields and cabbage gardens and a bare look room with basic equipment. The listeners from the villages nearby want content that talks their language and highlight issues that affect them. But doing the balancing act between being a regular station and a community radio station has been a challenge for Sarathi Jhalak. We live in a smart city, but just 70Kms away, semiurban India is grappling with age-old issues while reaping some of the fringe benefits of technological development. We strongly believe that unless we pay attention to the development and seek to reslove issues faced in these areas, our smart cities will remain encircled with an alienated population, which resents the city and loses its own identity. 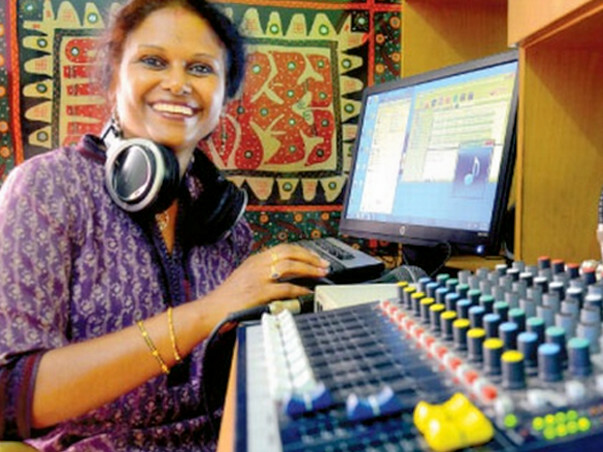 Sarathi Jhalak is India's only women owned community radio station. Our programs have found wide support among the local audience (about 15 Lakh people) in the range of radio stations located at Anugondanahlli and Bangalore. Over the past three years, about hundereds of listeners are benefitted. Our village programmers have turned into local celeberities, people in distress have found relief and support, local youths and students and families have formed emotional bonds via our radio station. This is the real change we are seeing in Hoskote, Malur, Sarjapur, Bagur, Chikka Tirupathi and other 150 villages. During the first week of September, our listeners were left clueless when we stopped airing their programmes - little did they know that their favourite 90.4FM could soon go off air due to lack of funds. We have three radio jockeys and two male RJs earning about Rs. 2000 a month - our channel's existence is under threat as our RJs are underpaid. In September, the channel went off air for a few days as the RJs refused to turn up. But we received calls from our listeners and we had to resume our services after three days! We have cut down our hours from 10 AM to 4PM and 6 PM to 10PM, unlike the earlier 6 AM to 10 PM schedule. Although we have completed three exciting years, we still struggle to raise financial resources. Although we discuss about economic empowerment but fails to encourage practical, intangible change in a community. We currently depend on the resources raised by the individual contributors and voluntary efforts from the poorer strata of the society. To compensate them for their efforts, we seek to pay for their sustainable salaries, and honorariums that will contribute to the long term sustainability of Sarathi Jhalak. I look forward to your help from each one of you to ensure that the dream and passion with which Sarathi Jhalak was started is sustained and prospers into a community radio that each one of us can be proud of! Many thanks in advance for your support and look forward to help form you. Every bit counts!